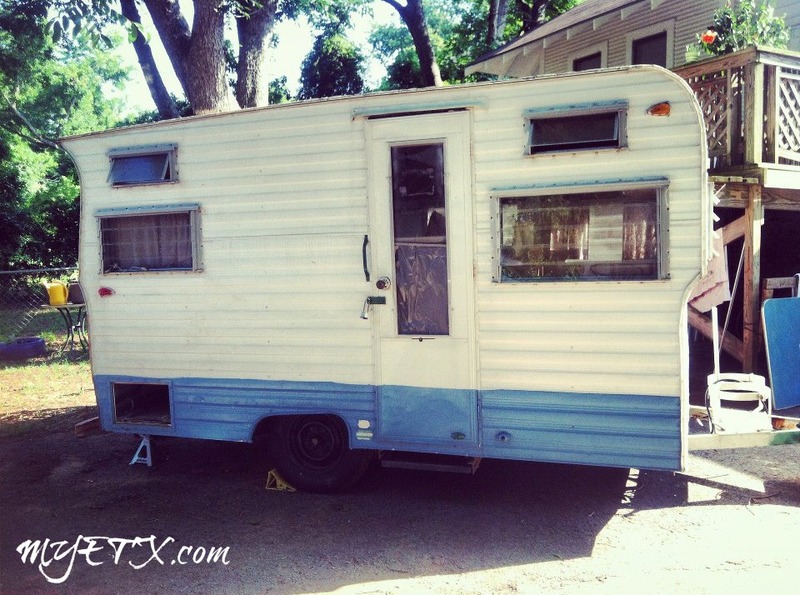 Last spring I started looking for a travel trailer to haul around East Texas on my adventures. 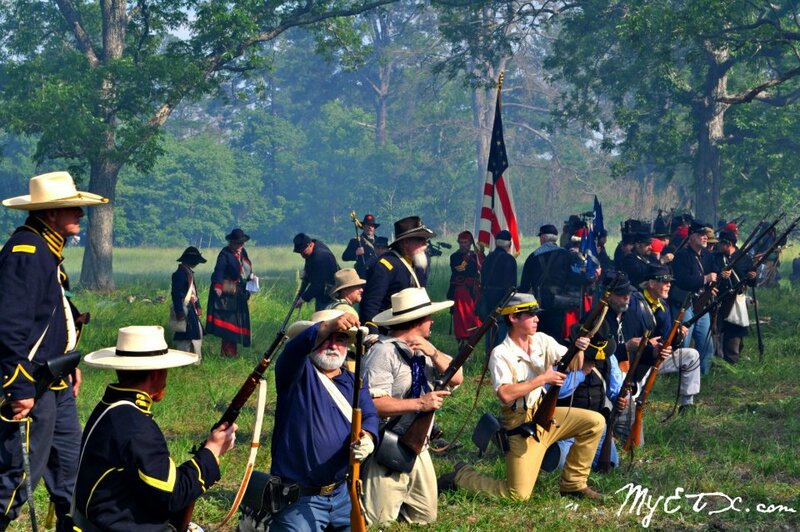 As a writer and photographer I travel all over the Pineywoods and beyond snapping photos and researching. It isn’t always possible to book a room on short notice, so it only seemed logical to buy a camper since my schedule is mostly driven by my gypsy soul, which is notorious for deciding to get up and go somewhere at the drop of a hat. If you know me, then you realize I almost always have a project going. Just before I decided to take on the Vintage Camper Makeover I restored an old marlin mount for the Texas Theatre’s spring musical. I will try my hand at anything once! I scoured Craig’s List and Facebook trading groups in search of the perfect camper for weeks. If you have ever used Craig’s List then you realize it is not always easy to correspond with people via email. You also realize it is not always safe. Any time I use Craig’s List I proceed with caution. I looked at every kind of camper you can imagine, and probably some of which you can’t begin to imagine. Initially, I thought I wanted a pop-up camper. I figured it would be cheaper and lighter to pull. At the time, Craig’s List was flooded with pop-up campers. I looked at pop-ups from Dallas to Galveston online and finally found one in Houston. I bought the camper and even gave it an amazing paint job, but in the end the pop-up camper just did not suit my needs so I put it up for sale. I sold the camper within a week of listing it and didn’t lose any money, therefore I was able to continue my search for the perfect camper. Several weeks had passed since I first began my search and summer had arrived. I went back to Craig’s List in search of a small vintage camper. 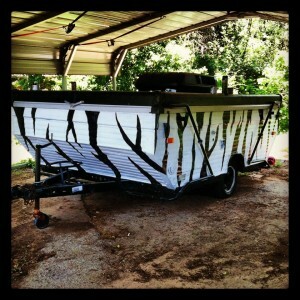 After about a week of corresponding with potential sellers I finally found a camper I really liked in Gladewater. 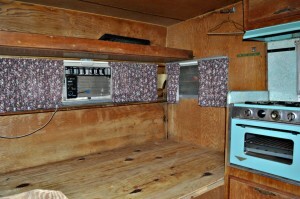 The camper was a 1965 Northwest Coach and it had character. It needed a little TLC, but all-in-all appeared to be in good shape, and it was within my price range. After a few days of corresponding via email with the seller, and looking at a few more campers online, I decided to drive to Gladewater and check it out. I met the owner at Brookshire’s and then followed him to his house. I examined the camper thoroughly and was pleasantly surprised with the condition of the trailer. It had a hideous paint job and some wretched curtains, but nothing I couldn’t fix. I gave the man his money and hooked the old camper up to my Toyota then pulled it back to Palestine. The next day we began the process of cleaning and fixing the camper up. The first step was to empty the camper. Those curtains were the first thing to go, followed by all of the odds and ends the seller left inside. The previous owner left all of his camping supplies, a TV, VCR, DVD player and several other random things in the trailer. I gave the TV, VCR, DVD player, and about 20 coffee cups to Goodwill, the rest I recycled or trashed. After everything was out of the camper Operation Deep Clean began. We scrubbed and bleached the inside and outside of the camper. We took off all of the cabinet doors and handles in order to clean and sand them. Operation Deep Clean required lots of elbow grease and many hours. We spent a whole day, from sun up to sun down cleaning the trailer and prepping it for the makeover it was about to receive. While we scrubbed we pondered on how we wanted the camper to look in the end. The original sink and oven were turquoise, so I wanted to do something to make those pieces pop. 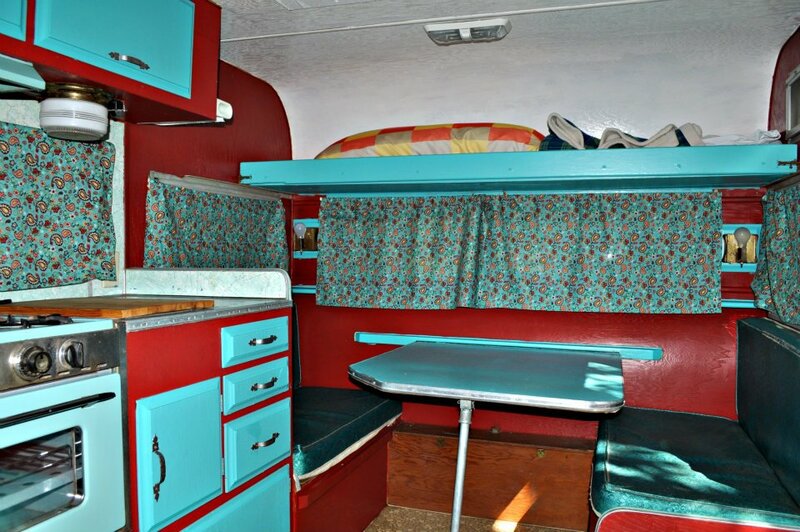 We tossed around a lot of color combinations, but in the end we decided the camper should be red, turquoise, and white. We bought all of our supplies the following day, including material to make new curtains, and got straight to work. One of us painted the inside while the other painted the outside. We sanded and painted the cabinet doors, and sprayed the cabinet handles silver. Countless coats of paint went onto the trailer, but after about three days of painting we were finished. While the interior dried for a day we made curtains and put new tires on the trailer. 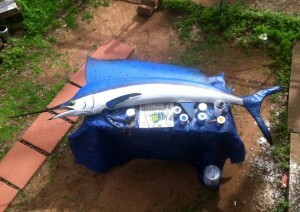 All that was left to do was pack it up and hit the road! The first place we took the camper was to Lake Striker. 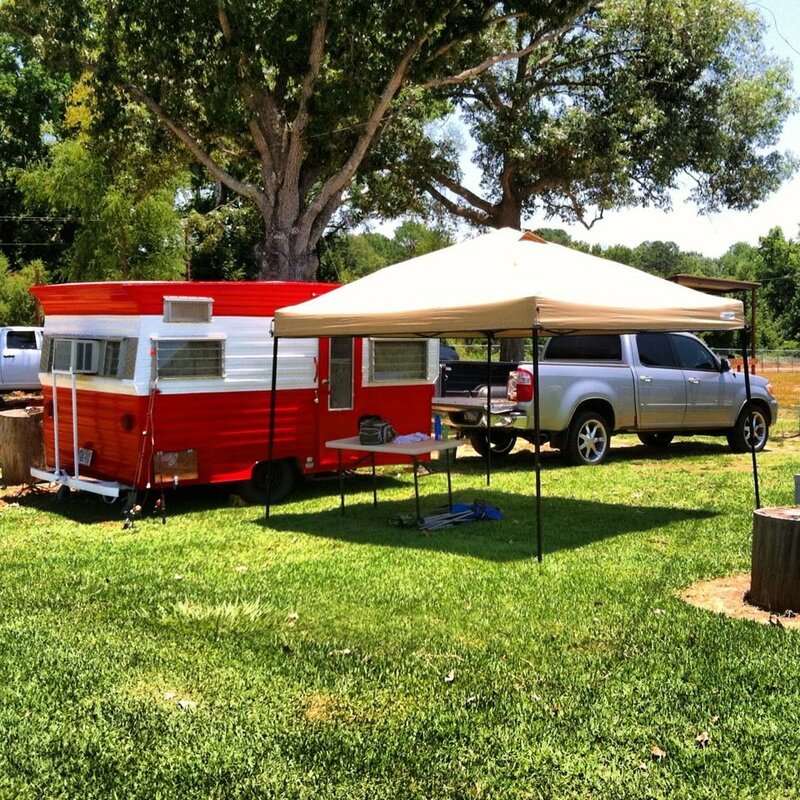 Since then we have visited multiple state parks across East Texas in the little red and white vintage camper. Everywhere we go people love the camper and at least once a month someone stops by to ask if it is for sale or if they can just look inside of it. 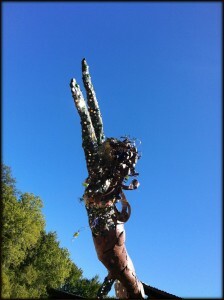 Don’t be afraid of a project like this! If you are looking at campers to fix up make sure the camper has no leaks and a good floor. Check the electrical, gas, and water. Go over the camper with a fine tooth comb, then hook up to it and bring it home! This project was easy and a lot of fun. I am looking forward to fixing up another camper in the future! Dana Goolsby can be reached for comment via email at dana.n.goolsby@gmail.com. QUITMAN- Every February, the Quitman Community Theatre and Quitman Rotary Club produce a musical revue dinner theatre that is eagerly awaited by the music lovers of the area. The theme for this year’s show is Return To Rock ‘N Roll, a 50’s and 60’s musical songfest, featuring over 20 area performers. Producer Becky Hibbard is often asked how so many talented people end up on the Carroll Green Civic Center stage, and her response is that gifted musicians/singer/actors are everywhere…and when given the opportunity, are eager to share their abilities with appreciative audiences. 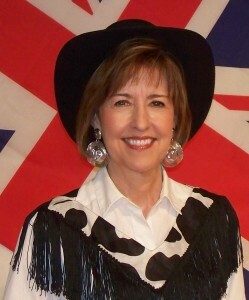 A shining example is Glenda Schill (shown in photo), who plays keyboard and banjolele, as well as sings during the show. Glenda has a masters degree in piano and organ performance from Baylor.